Over the past few weeks, we’ve heard a little bit about the upcoming Nexus devices, which will probably be manufactured by HTC, codenamed Sailfish and Marlin. Recently, some images of the smaller of the two, Nexus Sailfish, made their way on to the internet revealing how they may look like — shown above. Before we proceed, it’s worth mentioning that these are not official renders or images so a grain of salt is required, the original device may turn out to be different. However, Android Police has a decent track record about unreleased devices so we may it worth sharing. Rumors suggest the handset is expected to come with a 5-inch display sporting a resolution of 1920 by 1080 pixels and will be powered by a Snapdragon 820 processor paired with 4GB of RAM and 32GB of internal storage. Other rumored features include 2,770 mAh battery, 12MP camera for photos and videos, 8 MP front-facing camera, USB Type-C port, and possibly Android 7.0 Nougat pre-installed out of the box. 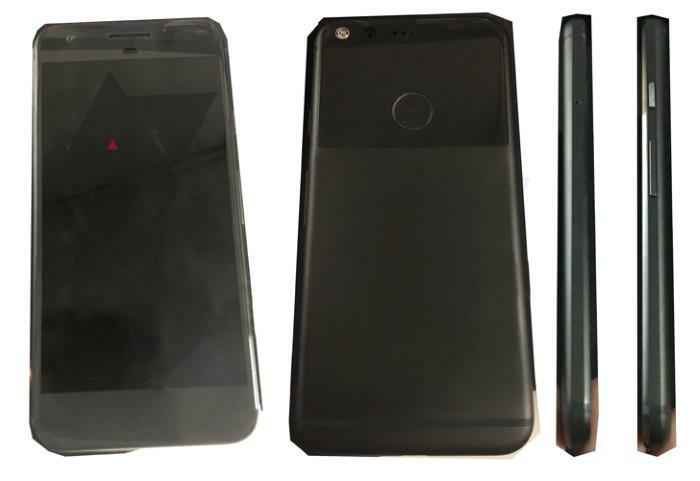 As seen in the image above, the handset is expected to come with a glass finish, but they are missing “Google” logo on the back. It’s not something to worry about as the handset is still in testing phase and by the time it reaches manufacturing, it should come with the logo on the back. We’ll update you as soon as we hear anything about the launch of the devices.